For at least 114 120 years, climate “scientists” have been claiming that the climate was going to kill us...but they have kept switching whether it was a coming ice age, or global warming. 1929 - “Most geologists think the world is growing warmer, and that it will continue to get warmer” - Los Angeles Times, in Is another ice age coming? 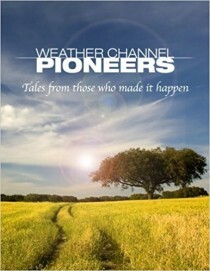 2009 - Climate change: melting ice will trigger wave of natural disasters. Scientists at a London conference next week will warn of earthquakes, avalanches and volcanic eruptions as the atmosphere heats up and geology is altered. Even Britain could face being struck by tsunamis - “Not only are the oceans and atmosphere conspiring against us, bringing baking temperatures, more powerful storms and floods, but the crust beneath our feet seems likely to join in too,” - Professor Bill McGuire, director of the Benfield Hazard Research Centre, at University College London, - The Guardian, Sep 2009. 2010 - What Global Warming Looks Like. It was more than 5C (about 10F) warmer than climatology in the eastern European region including Moscow. There was an area in eastern Asia that was similarly unusually hot. The eastern part of the United States was unusually warm, although not to the degree of the hot spots in Eurasia. James Hansen - NASA GISS, August 11, 2010. 2011 - Where Did Global Warming Go? “In Washington, ‘climate change’ has become a lightning rod, it’s a four-letter word,” said Andrew J. Hoffman, director of the University of Michigan’s Erb Institute for Sustainable Development. - New York Times, Oct 15, 2011. Worse still, notice that in 1933 they claim global warming has been going on for 25 years...the entire 25 years they were saying we were entering an ice age. And in 1974, they say there has been global cooling for 40 years...the entire time of which they’d been claiming the earth was getting hotter! Of course NOW they are talking about the earth “warming for the past century”, again ignoring that they spent much of that century claiming we were entering an ice age. The fact is that the mean temperature of the planet is, and should be, always wavering up or down, a bit, because this is a natural world, not a climate-controlled office. 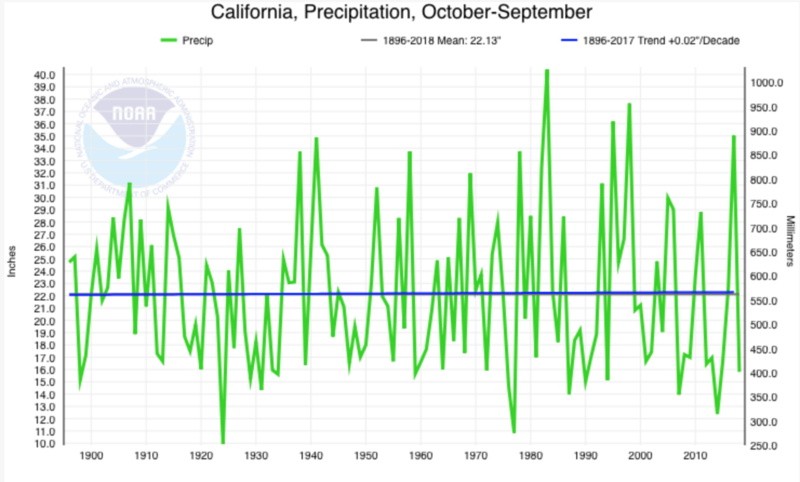 California has had no downtrend in annual precipitation since 1895. It’s tragic issues with wildfires the last two years are the result of radical governmental and environmental policies/inaction. The people in the path of these fast moving infernos and the brave firefighters trying to save lives and property are suffering because of bad state government and greed by large NGOs. Laguna Beach went through four fires sparked by utility lines in the last ten years, and has done as much in the way of prevention as they could afford. The bill would have allowed cities to work with utilities to underground utility lines, and work with the Public Utilities Commission to develop updated fire maps by requiring the PUC to take into consideration areas in which communities are at risk from the consequences of wildfire, not just those areas where certain environmental hazards are present. Sen. Moorlach’s second version of SB 1463 would also have required the California Air Resources Board to include greenhouse gas emissions from wildland and forest fires in their updated Scoping Plan. The ARB does not actually track GHGs - they just estimate. The ARB is extorting millions of dollars from California businesses on their best guesses. USA Today/Reno Gazette reported in 2017. Last year, there were more than 9,000 major wildfires which burned over 1.2 million acres. Several of the large fires were caused or exacerbated by sparking utility lines. The problem is that the Air Resources Board Scoping Plan ignores the most egregious of all GHG emission problems - manmade wildfires. Instead, the ARB spends a substantial amount of cap and trade funds on high-speed rail, which literally increases GHG emissions and eliminates large carbon sinks. The ARB has a history of diverting funds to pet projects and programs that have little or nothing to do with actually reducing GHG emissions. California’s wildfires are a horrific tragedy. At last report 63 people are dead, 631 missing and 11,862 structures have been destroyed. We hold those lost and suffering in our thoughts and prayers. Governor Brown, if you are still searching for the anthropogenic link to California’s tragic fires, I expect somewhere in the governor’s mansion there’s probably be a mirror. Liberal California Gov. Jerry Brown has never been one to take personal responsibility. He has made a career out of blaming others for his and the failures of extreme left-wing policies. It comes as no surprise that just one day after Pres. Donald J. Trump criticized the state for the gross forestry mismanagement linked to surging wildfires, Gov. Brown was quick to blame climate change and climate deniers. But it’s an inconvenient truth that Gov. 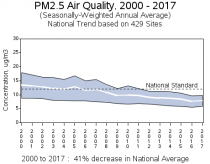 Brown and his merry band of West Coast liberals have imposed radical environmental regulations that run contrary to appropriate forest management. Pres. Trump has cited the Democrat laws designed to protect species such as the Spotted Owl that effectively ended the ability of loggers to clear-cut swaths of forests. Clear-cutting acted as a deterrent to wildfires spreading over vast areas because it cut off the fuel supply. Under Pres. Clinton, old-growth trees were protected from logging and that effectively ended the timber industry’s ability to clear-cut in 1994. More far-left policies also ended grazing by cattle and other farmers. While these policies may have been well-intentioned, Democrats pushed through solutions that caused much greater problems. Now, those habitats and species they sought to protect are completely destroyed, thousands of Californians have been displaced and the death toll continues to rise. In 2005, the Western Governors Association released a report that warned such policies would have dire consequences. But these mostly Republican governors from cattle and farmland states were dismissed and no fact-based actions were taken to restore logging as an effective means of forest management. But perhaps the larger problem with regards to wildfires is that the left-leaning media appears ready to come to Gov. Brown’s defense even while liberal journalists know he is dead wrong. A prime example is the New York Times that is changing its tune after they criticized the end of clear-cutting in 2012. At the time the article was published, the NY Times stated that wildfire devastation escalated from 81,043 fires burning 1,329,704 acres in 1998 to 74,126 fires burning 8,711,367 acres in 2011. The NY Times attributed the incredible uptick in lost habitats to the failed policies started by Clinton and pushed further by radical liberals. These days, the NY Times is simply trying to support any claim by any Democrat because the failed newspaper has zero interest in fact-based reporting. Rather than stand by its claims made six years ago, the NY Times trolls out a liberal writer to make an odd claim that Pres. Trump is somehow incorrect. A recent piece misleads by pointing readers to forest thinning rather than clear-cutting. Dead brush and twigs may be the root cause of a wildfire, but stopping a wildfire means cutting off its fuel supply. That fuel is trees, particularly pine trees. “Researchers are attributing at least part of the difference to climate change because in a warming world vegetation dries out faster and burns more easily,” NY Times writer Kendra Pierre-Louis states. The NY Times writer goes on to try and shift blame to the federal government, claiming the state of California doesn’t own much of the impacted land. Either naive or just “dishonest,” as the president often says of the publication, the regulations apply to state and federal agencies alike. Liberals ended the most effective tool to stop wildfires - clear cutting - and bog down anyone who tries to take precautionary measures through proper forest management. Perhaps Interior Secretary Ryan Zinke said it best. More and more people have left the squalor of the sanctuary cities and high property costs and taxes and move to beautiful wooded areas they put themselves in greater danger given the eco fanatics control. I now believe that if I had asked an even simpler question - such as, What do you mean by mass, or acceleration, which is the scientific equivalent of saying, Can you read? - not more than one in ten of the highly educated would have felt that I was speaking the same language. So the great edifice of modern physics goes up, and the majority of the cleverest people in the western world have about as much insight into it as their Neolithic ancestors would have had. I fear that little has changed since Snow’s assessment 60 years ago. While some might maintain that ignorance of physics does not impact political ability, it most certainly impacts the ability of non-scientific politicians to deal with nominally science-based issues. The gap in understanding is also an invitation to malicious exploitation. Given the democratic necessity for non-scientists to take positions on scientific problems, belief and faith inevitably replace understanding, though trivially oversimplified false narratives serve to reassure the non-scientists that they are not totally without scientific ‘understanding.’ The issue of global warming offers numerous examples of all of this. I would like to begin this lecture with an attempt to force the scientists in the audience to come to grips with the actual nature of the climate system, and to help the motivated non-scientists in this audience who may be in Snow’s ‘one in ten’ to move beyond the trivial oversimplifications. At the heart of this nonsense is the failure to distinguish weather from climate. Thus, global warming refers to the welcome increase in temperature of about 1C since the end of the Little Ice Age about 200 years ago. On the other hand, weather extremes involve temperature changes of the order of 20C. Such large changes have a profoundly different origin from global warming. Crudely speaking, they result from winds carrying warm and cold air from distant regions that are very warm or very cold. These winds are in the form of waves. The strength of these waves depends on the temperature difference between the tropics and the Arctic (with larger differences leading to stronger waves). Now, the models used to project global warming all predict that this temperature difference will decrease rather than increase. Thus, the increase in temperature extremes would best support the idea of global cooling rather than global warming. However, scientifically illiterate people seem incapable of distinguishing global warming of climate from temperature extremes due to weather. In fact, as has already been noted, there doesn’t really seem to be any discernible trend in weather extremes. There is only the greater attention paid by the media to weather, and the exploitation of this ‘news’ coverage by people who realize that projections of catastrophe in the distant future are hardly compelling, and that they therefore need a way to convince the public that the danger is immediate, even if it isn’t. This has also been the case with sea-level rise. Sea level has been increasing by about 8 inches per century for hundreds of years, and we have clearly been able to deal with it. 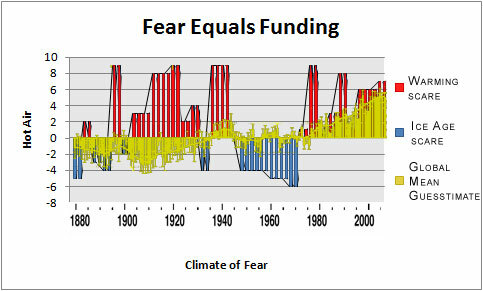 In order to promote fear, however, those models that predict much larger increases are invoked. As a practical matter, it has long been known that at most coastal locations, changes in sea level, as measured by tide gauges, are primarily due to changes in land level associated with both tectonics and land use. Moreover, the small change in global mean temperature (actually the change in temperature increase) is much smaller than what the computer models used by the IPCC have predicted. Even if all this change were due to man, it would be most consistent with low sensitivity to added carbon dioxide, and the IPCC only claims that most (not all) of the warming over the past 60 years is due to man’s activities. Thus, the issue of man-made climate change does not appear to be a serious problem. However, this hardly stops ignorant politicians from declaring that the IPCC’s claim of attribution is tantamount to unambiguous proof of coming disaster. Cherry picking is always an issue. Thus, there has been a recent claim that Greenland ice discharge has increased, and that warming will make it worse. Omitted from the report is the finding by both NOAA and the Danish Meteorological Institute that the ice mass of Greenland has actually been increasing. In fact both these observations can be true, and, indeed, ice build-up pushes peripheral ice into the sea. Misrepresentation, exaggeration, cherry picking, or outright lying pretty much covers all the so-called evidence. So there you have it. An implausible conjecture backed by false evidence and repeated incessantly has become politically correct ‘knowledge,’ and is used to promote the overturn of industrial civilization. What we will be leaving our grandchildren is not a planet damaged by industrial progress, but a record of unfathomable silliness as well as a landscape degraded by rusting wind farms and decaying solar panel arrays. False claims about 97% agreement will not spare us, but the willingness of scientists to keep mum is likely to much reduce trust. in and support for science. Perhaps this won’t be such a bad thing after all - certainly as concerns ‘official’ science. One of the most curious aspects of the climate debate is that almost no one insists on mathematically rigorous tests of the major hypotheses that are involved. This is true among the warmists, of course, but is often true among the skeptics as well. Why the skeptics do not do so is beyond me. But most skeptics do not appear to do so. 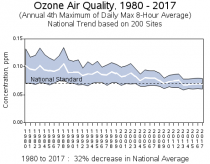 This often takes the form of endorsement of both natural and man-made sources of global warming, often with the view that the skeptics believe the man-made effects are minor. One of many examples is Benny Peiser, the Executive Director of the Global Warming Policy Foundation in London, probably the leading climate skeptic group in Britain. He has done many useful things for the skeptic cause, but endorsing the concept of man-made global warming is not one of them. Peiser is a social anthropologist - a discipline that may not widely use the relevant rigorous statistical methods in their work. Peiser has stated that climate change is due both to natural and man-made causes. But there is no rigorous evidence for the latter offered by Peiser or anyone else. So why is it advantageous to skeptics to support the opposition for a belief that has not been rigorously supported using the most appropriate mathematical techniques? 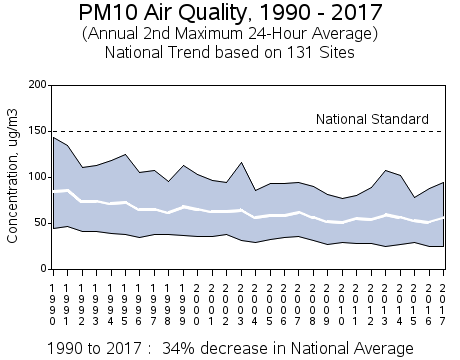 This may be crucial to the outcome of the debate here in the US since a legal case can be made that even a minor human effect is sufficient to invoke the Clean Air Act (CAA), assuming that the Act is even applicable to climate as the courts (but not Congress) have ruled. Now the US CAA is not applicable in Britain, so perhaps Peiser can be excused for not understanding the implications in the US, but the result is the same. However, everyone needs to use the mathematically proper tools that are readily available, particularly in a controversial topic like climate. This is particularly true given the enormous, totally unnecessary costs involved if the current “consensus” on climate science has in fact no rigorous proof of its validity. The principal “evidence” offered by the warmists is not really evidence at all. Their elaborate mathematical climate models prove nothing except that they make a lot of assumptions, and the results reflect the assumptions they have made. Many billions have been wasted on this “research,” perhaps because some people actually believe in this sophisticated nonsense since all General Circulation Models (except the Russians’ get similar results. “The advantage of the simple statistical treatment discussed here is that the complicated processes such as clouds, ocean-atmosphere interaction, aerosols, etc., are implicitly incorporated by the statistical relationships discovered from the actual data. Climate models attempt to calculate these highly non-linear processes from imperfect parameterizations (estimates) whereas the statistical model directly accounts for them since the bulk atmospheric temperature is the response-variable these processes impact. It is true that the statistical model does not know what each sub-process is or how each might interact with other processes. But it also must be made clear: it is an understatement to say that no IPCC climate model accurately incorporates all of the nonlinear processes that affect the system. I simply point out that because the model is constrained by the ultimate response variable (bulk temperature), these highly complex processes are included. 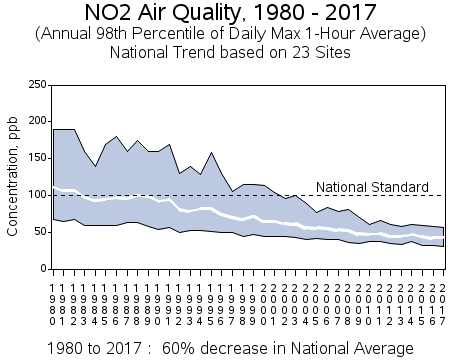 Although the warmists are all for using econometric methods to tease out the smallest possible indication that pollutants (e.g., NOx, XOx, ozone, etc.) cause adverse economic or physical effects, they seem adamantly opposed to using mathematically proper econometric techniques to determine what impact CO2 have had on Earth’s temperatures. The point is that the proper mathematical methods must be used in both types of analyses. 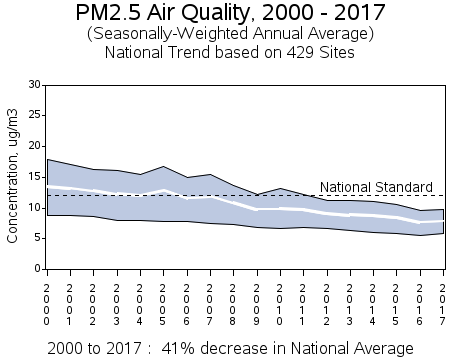 And the proper conclusions produced to date are that actual pollutants above various concentration levels can cause adverse medical and economic effects, but the effects have unfortunately sometimes been exaggerated, but that increasing CO2, including human-related emissions, have not resulted in statistically significant increases in temperatures in the real world. Unfortunately, many climate skeptics have not accepted these econometric findings and continue to rely on general statements that the effects of increasing CO2 concentration levels have only minor effects on temperatures. 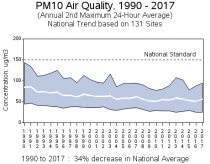 But from a US legal viewpoint and the Clean Air Act this may turn out to be a critical issue. There is simply no basis for believing that increasing atmospheric CO2 has had any significant effect in the real world on temperatures and skeptics need to raise this point at every opportunity. The issue is not whether there may be theoretical effects of CO2 on temperatures, but rather whether any significant such effects actually occur in the real world. It is important to point out that there is no basis for climate extremism’s basic tenet. They will no doubt be attempts to ignore this fact, but sometime, somewhere, people might actually pay attention to what the science actually says. Earth’s temperature changes which have cycled predictably in multi-decadal ways shown to change with ocean and solar cycles and volcanism. When these are considered in a rigorous econometric way, they explain all the changes in temperatures in 14 different data sets without any residual - required if CO2 was a driver. And by the way note, the carbon pollution most warmists talk about (since CO2 is a beneficial gas to all vegetation and crops and humans breathe out 100 times more CO2 than they breathe in. 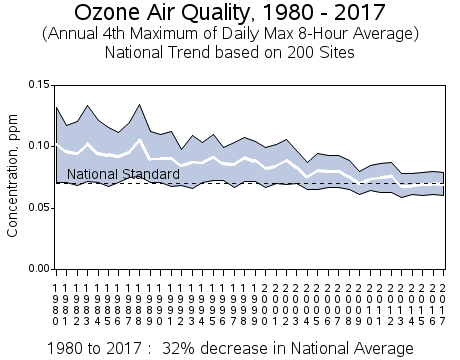 And NOx and Ozone are at or below target levels and declining. 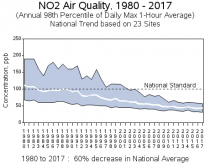 Poor forest policy is making conflagrations all over California the new norm as forest thinning and logging was halted decades ago. Blaming climate change for the recent California fires and the state’s water woes appear to be like the kid blaming his dog for eating his homework. The reality of climate change isn’t the issue. The earth’s climate has warmed and cooled since the beginning of time. Mankind’s impact on climate change remains debatable and laced with hyperbole that does little to solve problems but much to perpetuate political agendas and poor public policy. Not to be out done, President Trump jumped into the mix recently with a typical tweet that cast the blame on state officials for taking water that otherwise could be used to extinguish fires. While California and the feds seem to be in the business of banning human access to fresh water, that’s not the issue. Decades ago a hue and cry went out across the U.S. that the timber industry was killing the Northern Spotted Owl, and to end this, logging had to stop. A major California newspaper did a series of stories on logging that used hyperbole and exaggerations, along with some very good photography, to sell this point and win a Pulitzer Prize. Logging was stopped. Small towns crumbled, and forests became so overgrown that they began to die. Too many trees then competed for a finite amount of water that fell on the forests during the winter months. A northern California rancher once told me that streams and springs he knew as a child dried up because of this competition for water. This forced deer and elk migrations to change and further changed natural patterns in the forest that exacerbated the problem. Voter-approved ESA-like protections given to the mountain lion didn’t help as the large predators decimate deer herds that once foraged on the forest. We’ve now introduced wolves that will further cause declines in deer and elk populations and force ranchers grazing their cattle on public lands to relocate them. Stressed trees became fodder for the bark beetle that also killed vast forest vistas. The view from highways connecting places like Susanville and Red Bluff, or Chester and Quincy bear this out. Forest Service policies of squashing just about every lightning-sparked fire compounded the issue as fire has always been a natural part of the forest ecosystem. It is now virtually impossible to have a small, controllable fire anymore. The consequences of decisions like these are legion, and expensive. Lives and property are lost and destroyed as millions of dollars in fire suppression costs, infrastructure repair and insurance claims are racked up annually because of mankind’s mismanagement of forests. Public policy is not going to reverse heating and cooling cycles that moved the planet in and out of ice ages. We are likely at the apex of a warm cycle and, according to information I’ve heard, some scientists believe a cyclical change in sunspot patterns may soon move us into a period of cooling. ICECAP NOTE: Todd is living the story in California. See this rebuttal that supports Todd’s message here.